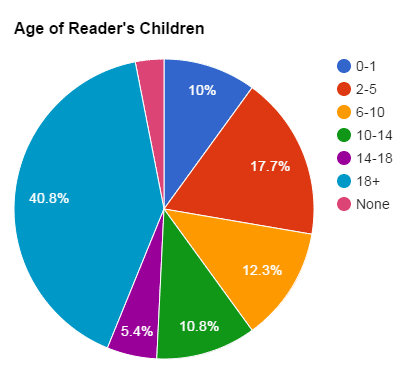 Reader Survey Results Are In! Have you ever had a moment when you’re working on something difficult and have a brief moment where you stop and wonder “Does anyone notice? Is this worth the effort?” Well… sometimes those confidence busters creep in over here in Michigan and you guys— reading your survey answers made me so happy (and more aware of what you want to read each week)! Last week’s reader survey was the second time I had asked for your input, but this will be the first time I’ve shared the results! 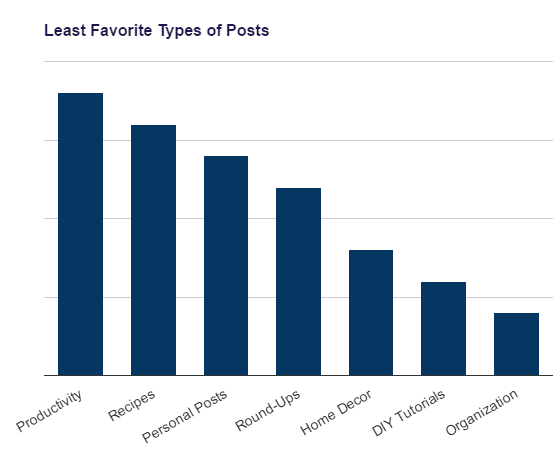 Want to know more about the concerns and favorites of fellow Our Home Made Easy readers? Keep reading! PS. Want to submit your answers? The survey is still open, but the giveaway is not! 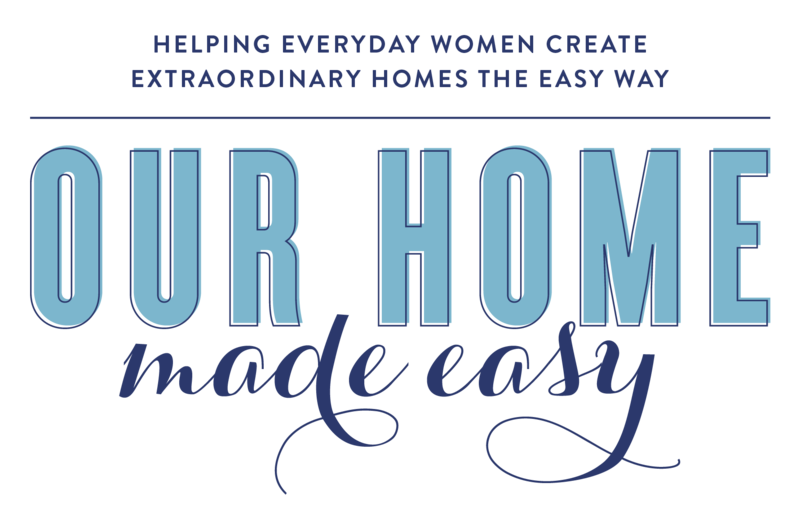 Who is reading Our Home Made Easy? Whoa! This was totally unexpected. And exactly why I need to do reader surveys more often! 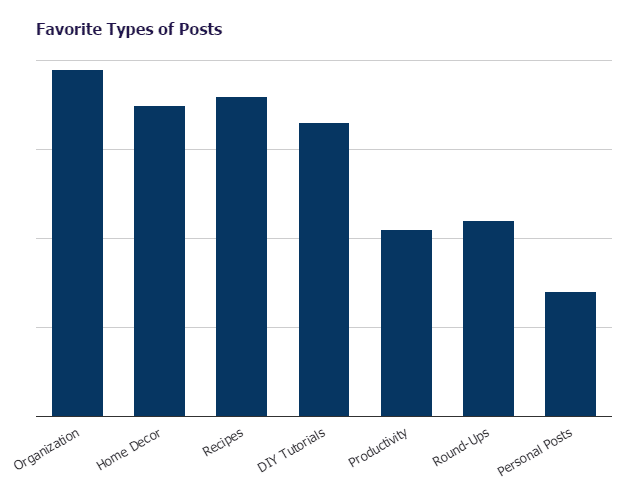 I would’ve never guessed organization posts were your favorite. As soon as I saw this, I immediately started brainstorming what I could write about to give you the content you want. On a completely shameless note, if you want to know more about recipes, enroll in my free 5 day Meal Planning mini course. It will walk you through starting meal planning, send you 40+ dinner recipes, and discuss what works when you don’t feel like cooking! If you’re looking to become more productive, I wrote an eBook called Your Life Made Easy! It’s perfect for establishing routines and creating a well run life at home. See the book here. I was really surprised to see recipes rank as high as they did. And I have to admit, I haven’t been creating a recipe post per week in a very long time. I think I do better serving my readers a collection of recipes (20 Easy Dinners for Weeknights) rather than a single recipe. If I develop an easy recipe, I’ll be sure to share it. However, I’ll follow my readers right now and step back with weekly recipe posts. 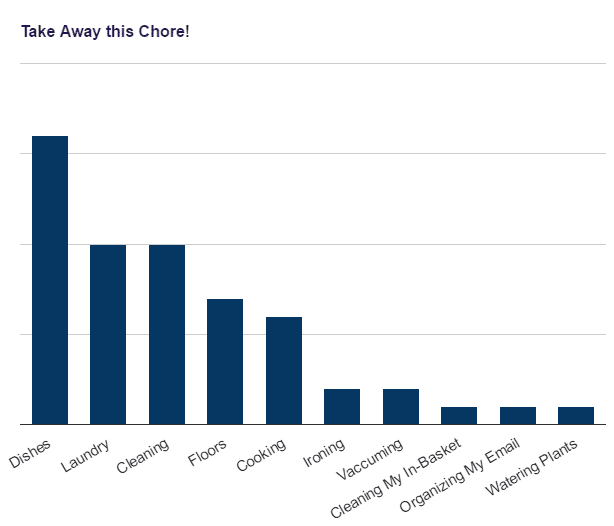 Another surprise was the productivity category. I’ll re-think my post content to come and share more “Before” & “After’s” rather than showing how I made time to do it. Easy enough! 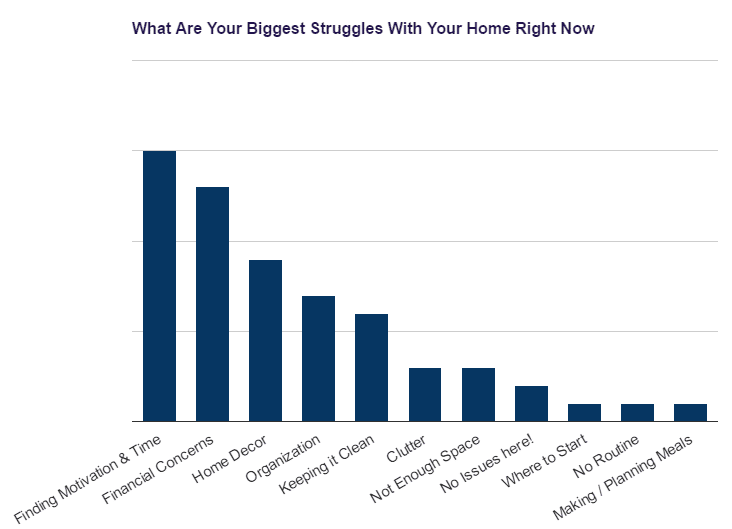 Some of the most enlightening responses to this question had to do with clutter, organization, and knowing where to simply start. These thoughts definitely re-enforced that we need to do something the organization in our lives! I touch home decor occasionally and I’ll take cost into consideration. 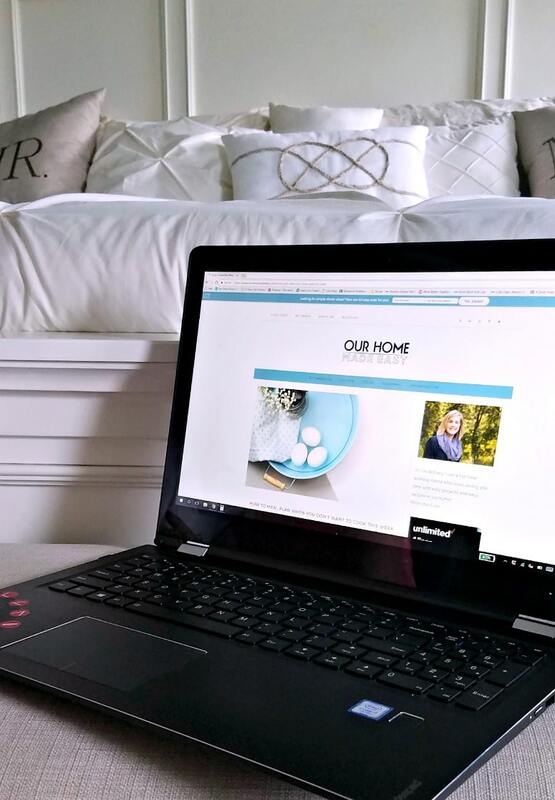 While it’s fun to look through pretty Pinterest images, ultimately we all need easy projects that don’t cost a lot of money. And that’s it! I hope you enjoyed learning more about the community of readers and see that we all have similar struggles at home! 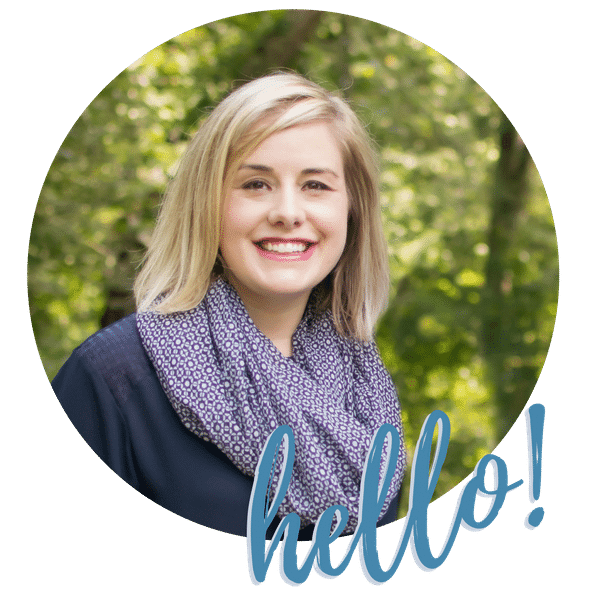 I am so excited to keep writing posts that you want to read each week. After learning so much, there might even be an upcoming course on the horizon (eeek!). Stay tuned!